The Cherokee Sheriff’s Office K-9 Unit has been a full-time unit since 1989. Currently, the Cherokee Sheriff’s Office has seven K-9’s. Four of those teams are narcotics detection dogs and two are explosive detection dogs and one is a tracking dog. 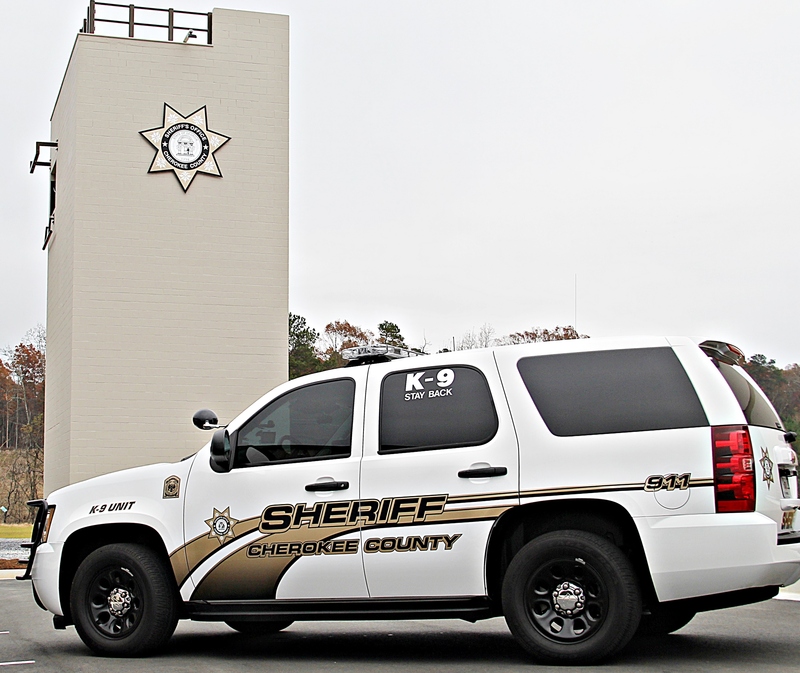 The Cherokee Sheriff’s Office K-9 Unit currently consists of a Lieutenant, Sergeant, and six deputies. All of the Cherokee Sheriff’s Office K-9’s are from overseas and receive their initial through the Sheriff’s Office K-9 handler school. After the K-9 teams initial training, the teams receive extensive weekly training through the Sheriff’s Office K-9 team training program. Lt. Billy Mitchell is the K-9 Unit Commander. Sergeant Chris Bryant the K-9 Unit supervisor and has been a K-9 handler since 2011. Sgt. 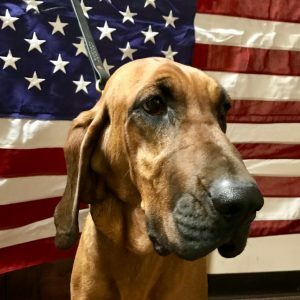 Bryant is the handler of K-9 Maggie, a Bloodhound trained in tracking. Sgt. Bryant is also a member of the S.W.A.T. team. Corporal Mark Patterson has been a handler since October of 2013, is currently assigned to the Uniform Patrol Division. Cpl. Patterson is the handler of K-9 Dyno. K-9 Dyno is a Dutch Shepard imported from Holland and is trained in the areas of explosive detection and police service dog. Corporal Matthew Verber has been a K-9 Handler since January 2014, is currently assigned to the Uniform Patrol Divison. Cpl. Verber is the handler of K-9 Dixon. K-9 Dixon is a Belgian Malinois\ Shepard mix imported from Holland. K9 Dixon is trained in the areas of narcotics detection and police service dog. 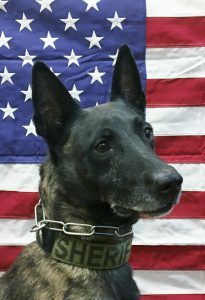 Deputy Bryan Stark joined the K-9 Unit in 2016. D/S Stark is the handler of K9 X-ray. K9 X-Ray is a Belgian Malinois imported from Holland. K9 X-Ray is trained in the area of narcotics detection and police service dog. 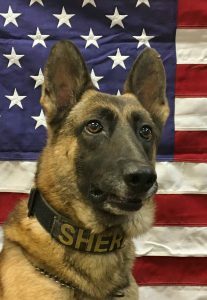 Deputy Jack Fulenwider joined the K-9 Unit in 2016. D/S Fulenwider is the handler of K-9 Volt. 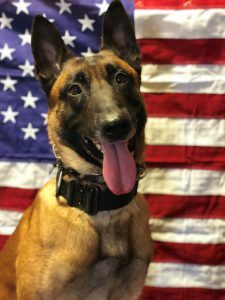 K-9 Volt is a Belgian Malinois imported from France. K-9 Volt is trained in areas of narcotics detection and police service dog. 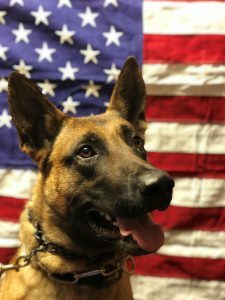 Deputy Sullivan joined the K-9 Unit in 2018. D/S Sullivan is the handler of K-9 Xena, a Belgian Malinois imported from Holland. K-9 Xena is trained in narcotics detection, tracking, and article detection. 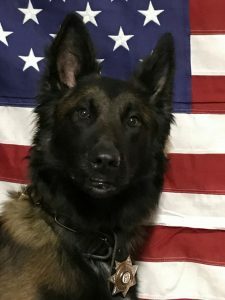 Corporal Richard Gilleland joined the K-9 Unit in 2019 and is the handler of K-9 Bak. 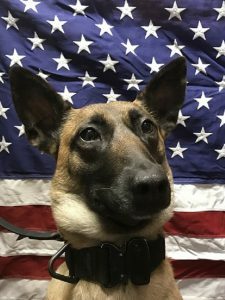 K-9 Bak is a Belgian Malinois imported from Hungary. K-9 Bak is trained in narcotics detection and is assigned to the Cherokee County A.D.C. Since 1990 the K-9 Unit has seized more than $24,000,000 in illegal drugs. 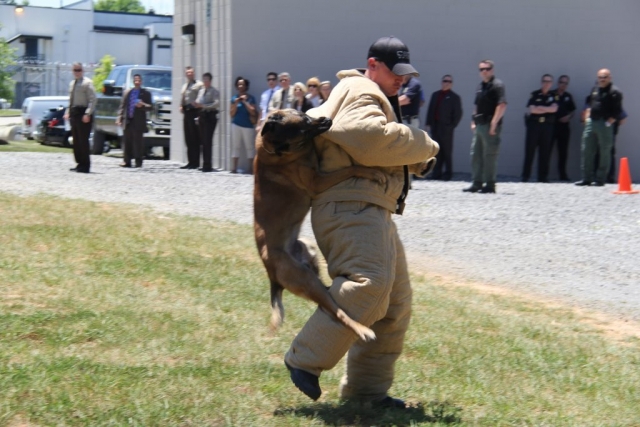 The K-9 Unit is also responsible for assisting the Sheriff’s Office and police agencies within and around the county in many capacities, some of the functions they can perform are narcotics detection, explosives detection, locating missing/lost persons, tracking fleeing suspects, evidence recovery, and educating the public. A high priority for the K-9 Unit is education and public relations. 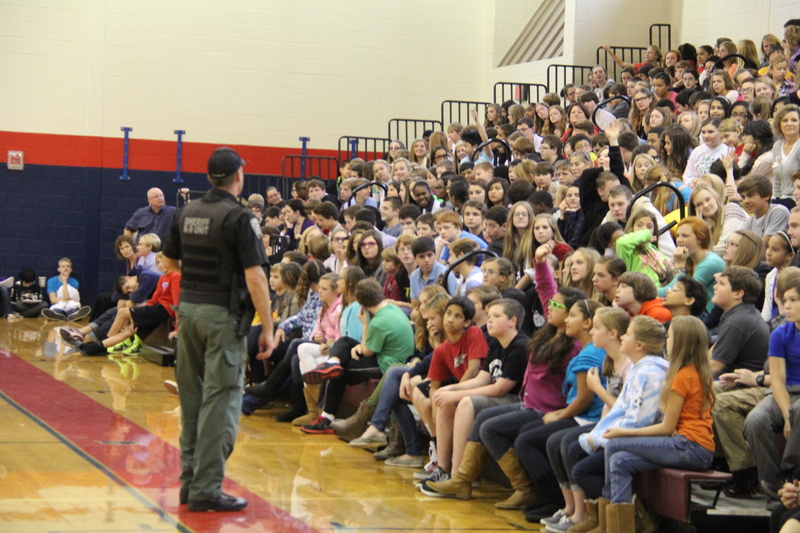 Each year the K-9 Unit visits Cherokee County Schools, private schools, and county daycares, speaking to over 24,000 people a year. 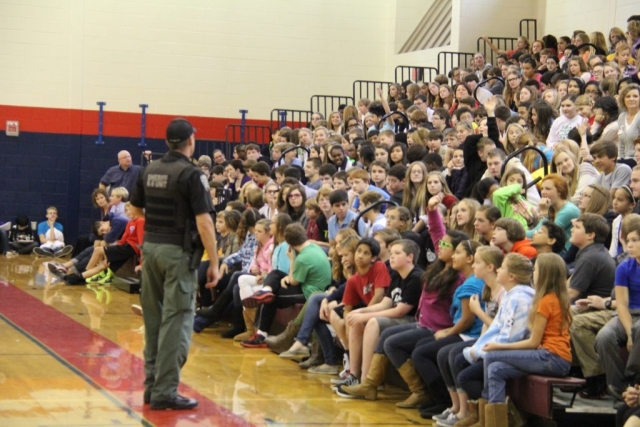 Some of the public functions include America’s Night Out Against Crime, Red Ribbon Week, career day, community helpers week, Neighborhood Watch Programs, and speaking with the Boy Scouts of America and Girl Scouts of America.